Throughout history, man has been fascinated with turning tools of destruction into children’s toys. From squirt guns to plastic soldiers. 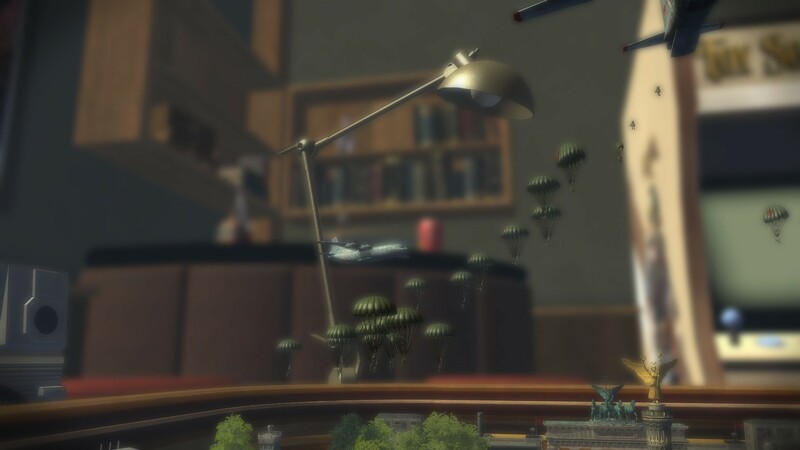 Like its spiritual predecessor the Army Men series, Toy Soldiers brings these warriors of make-believe into a digital playground to delight those too old to play with dolls. 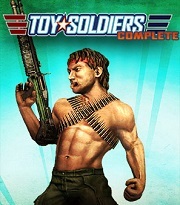 The world of Toy Soldiers is a land of seemingly intelligent toys living out a history parallel to our own. 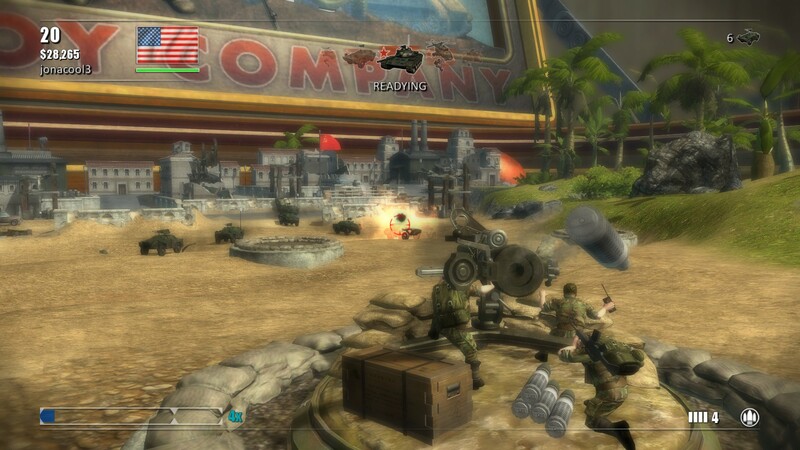 As a war simulator, it does surprisingly well by mixing Tower Defence strategy elements with third-person turret and vehicle combat mechanics. 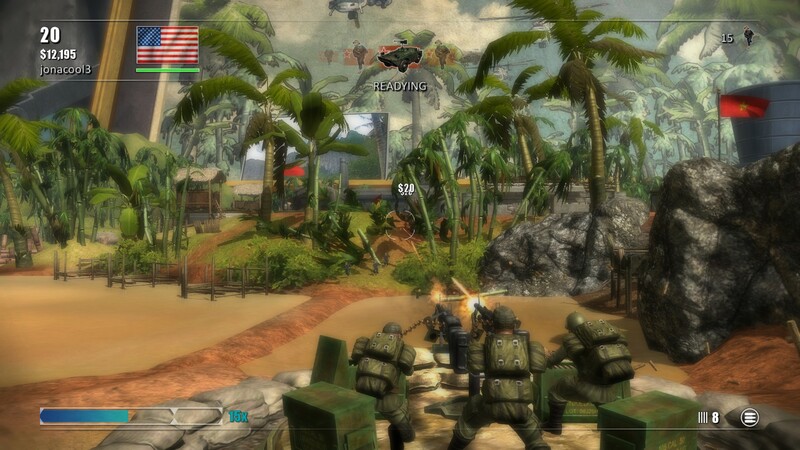 The aim of the game is to survive a series of waves of enemy soldiers while setting up to hinder their advance. 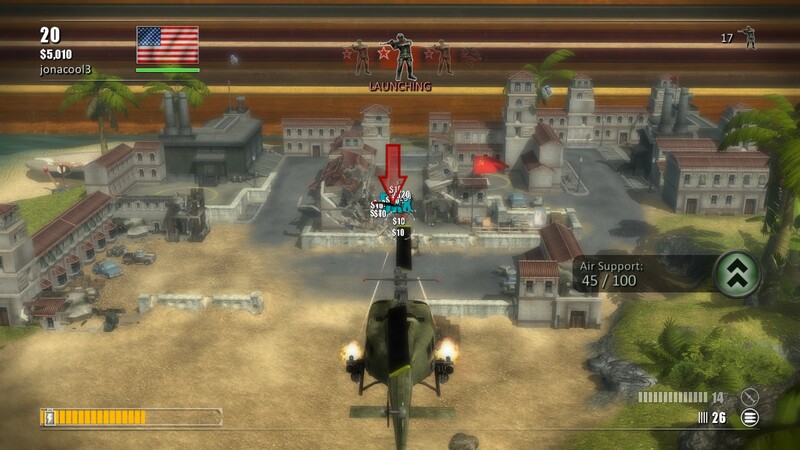 To give yourself an edge in combat, you can take advantage of ground or aerial vehicles to tear through the advancing foe or more easily destroy their turrets, expanding your defensive line in the process. 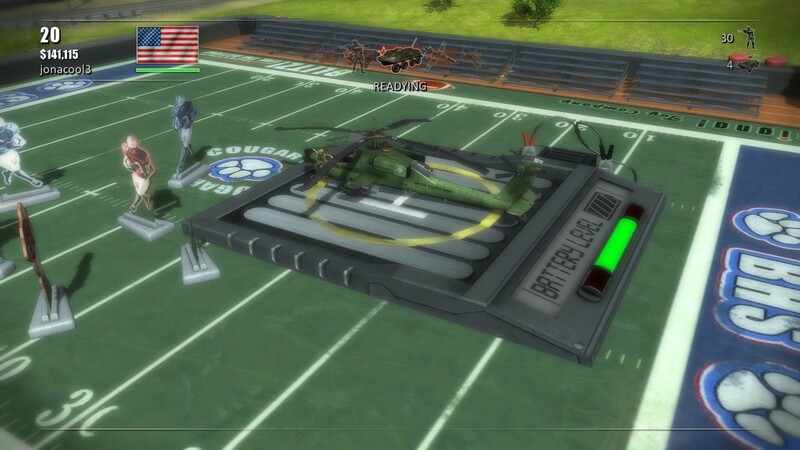 The key to survival is preventing enemy units from entering your toybox. 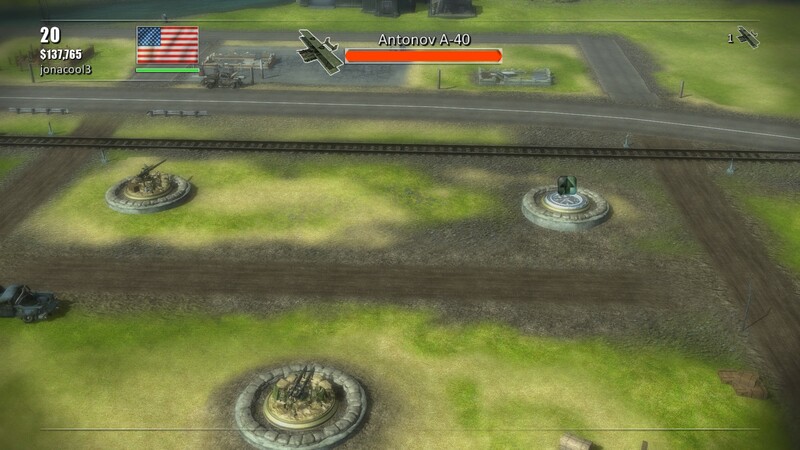 If too many of the enemy manage to slip past your defences, the battle is lost. 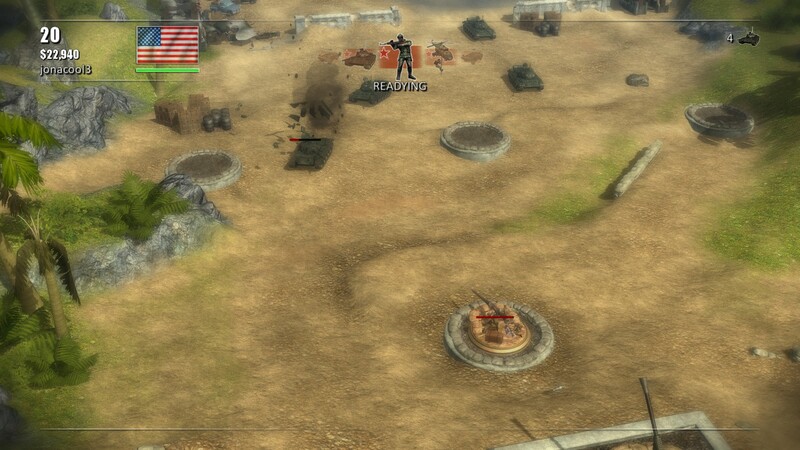 Toy Soldiers Complete currently consists of the content from the second game in the series, Cold War, but the original game will be made available very soon. 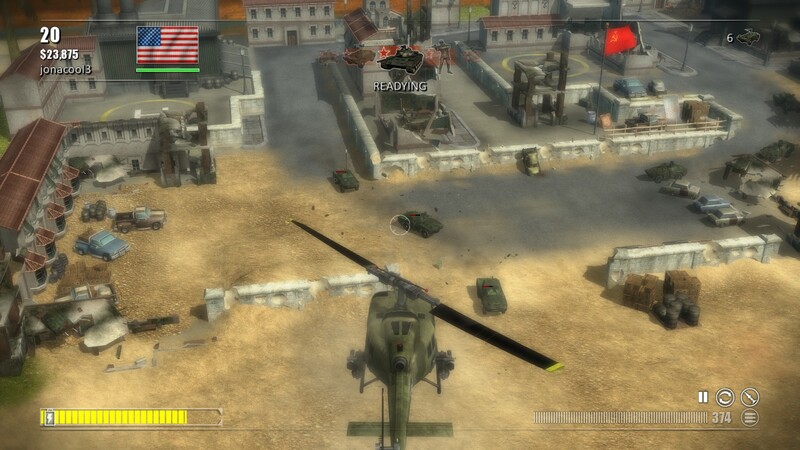 While the first game was set during World War I, the Cold War era of the sequel offers a new theatre of war to experience, from the plastic battlefields of Vietnam, to a fictional battle taking place in East and West Berlin. 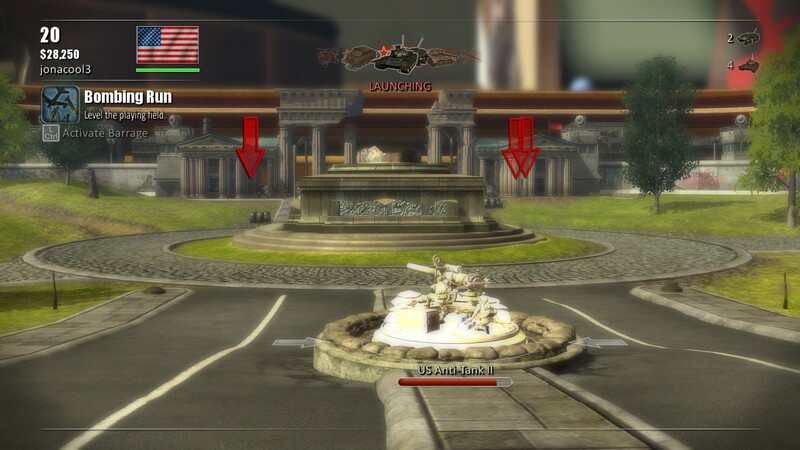 The new environments are unique and varied, which means each locale comes with its own special foe. 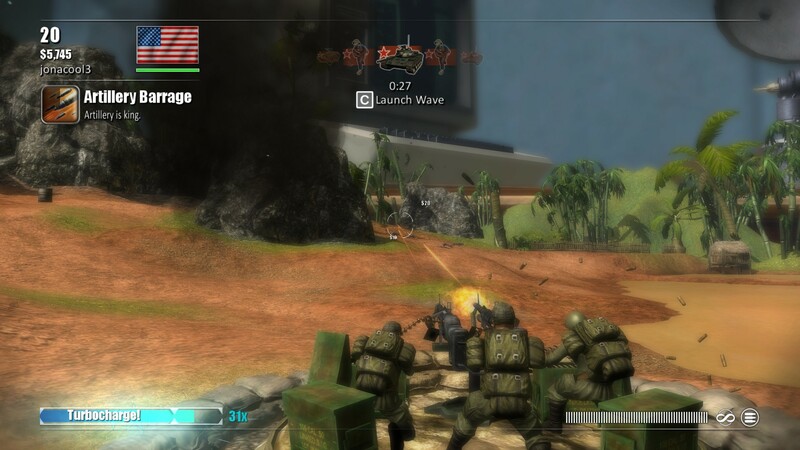 These troops correspond to the location of each skirmish. 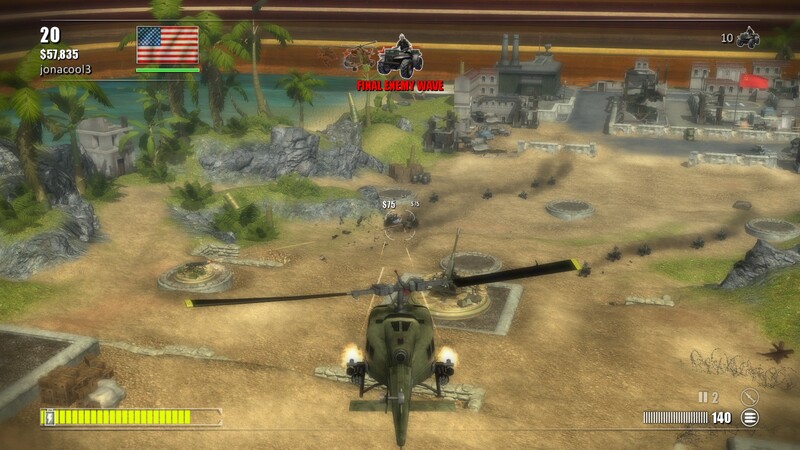 You’ll face the Vietcong when you’re in ‘Nam, and the Soviets in East Berlin. While the game isn’t visually groundbreaking, it holds up well enough. It provides optimal performance and simplistic, yet good looking set pieces. 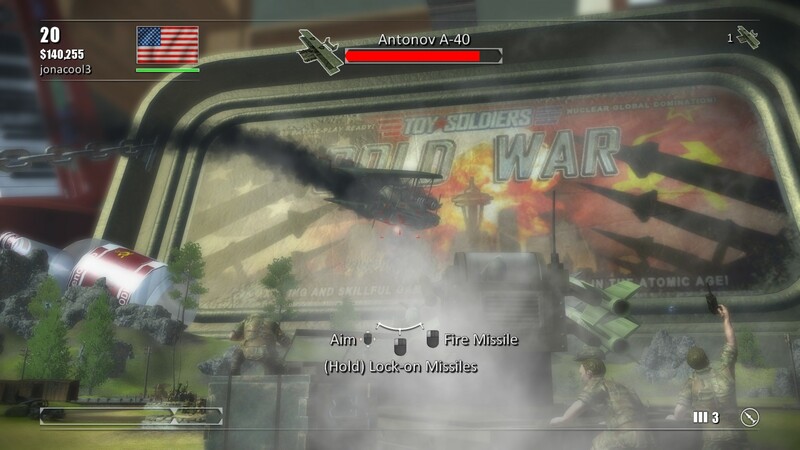 The level of detail behind units, explosions, and environmental destruction help immerse you in the game world, and create a feeling of accomplishment whenever you find yourself raining hell down upon your enemies with artillery, or RPG launchers. 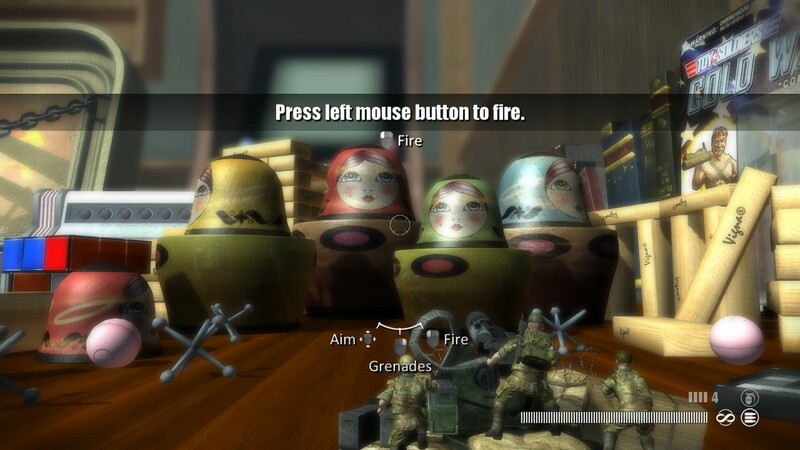 The sounds within the game are high enough quality to make you feel as though you’re on a real battlefield, if you weren’t clearly playing as toys in a playset. The sound of gunfire all around you, and explosions, both distant and near, all sound believable from the moment they’re fired to the second they land. 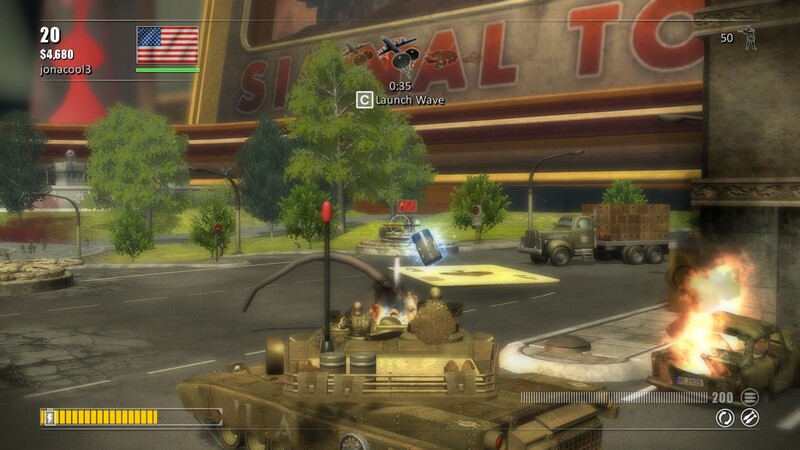 There is a diverse range of turrets at your disposal to combat the incoming waves of enemy ground troops, tanks, and aircraft (such as helicopters and jets). 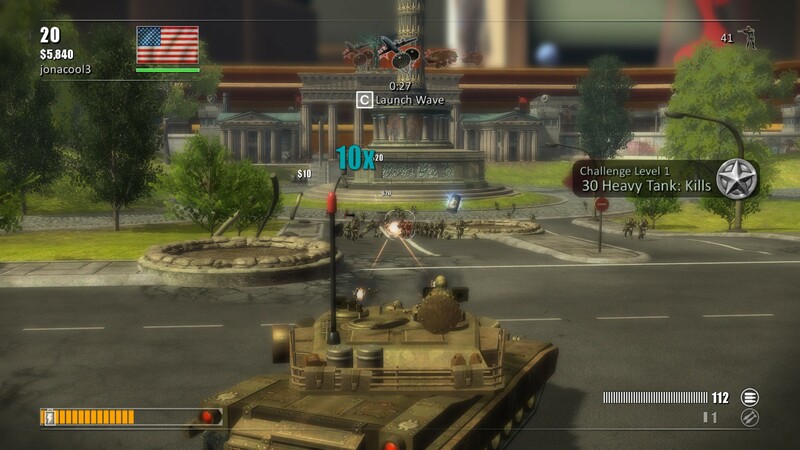 There are four kinds of turrets: anti-personnel, anti-armour, anti-tank, and anti-air. 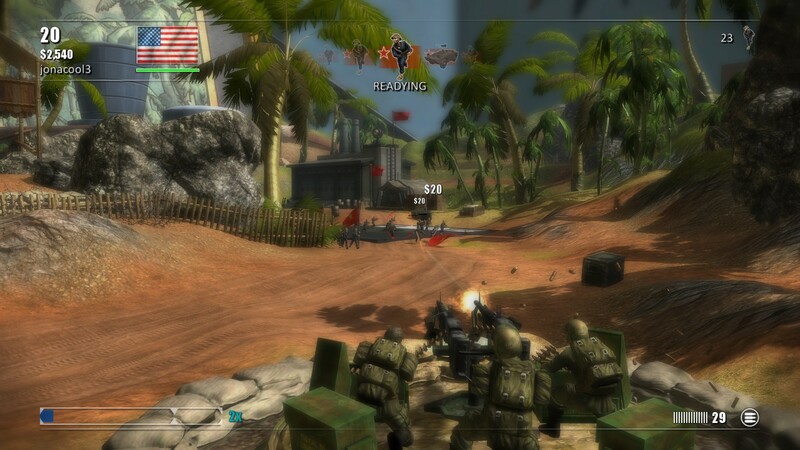 In contrast to the first Toy Soldiers, you can see your remaining ammo count. 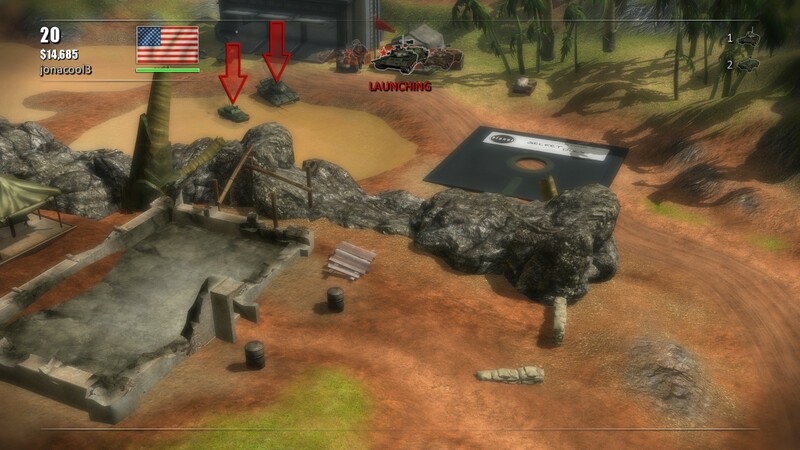 This gives you the opportunity to quickly switch to a different unit in critical situations, to intercept the enemy before they can enter your toy box, or before a boss crushes one of your turrets. 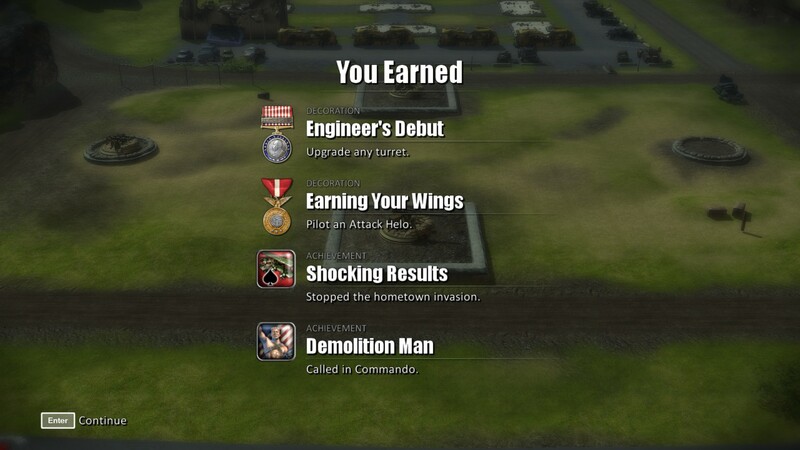 The latter scenario is easy to avoid altogether by simply upgrading your turrets. 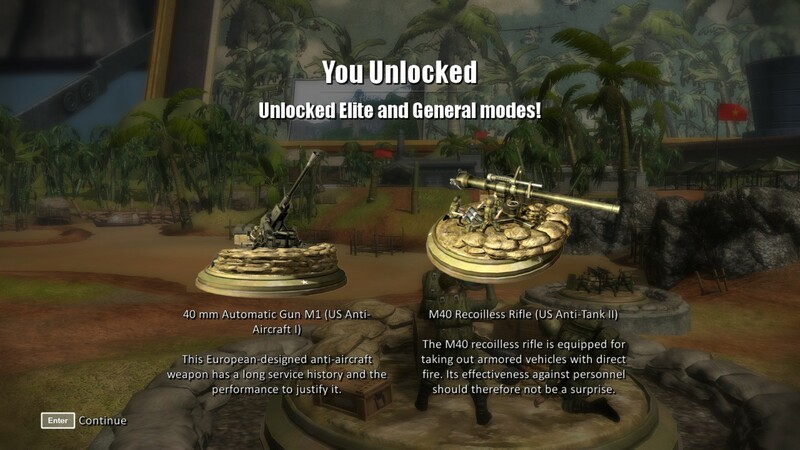 These upgrades can be unlocked by completing missions, and can be used even when returning to older levels, helping you raise your score and obliterate your foe. Like shootin' fish in a barrel. 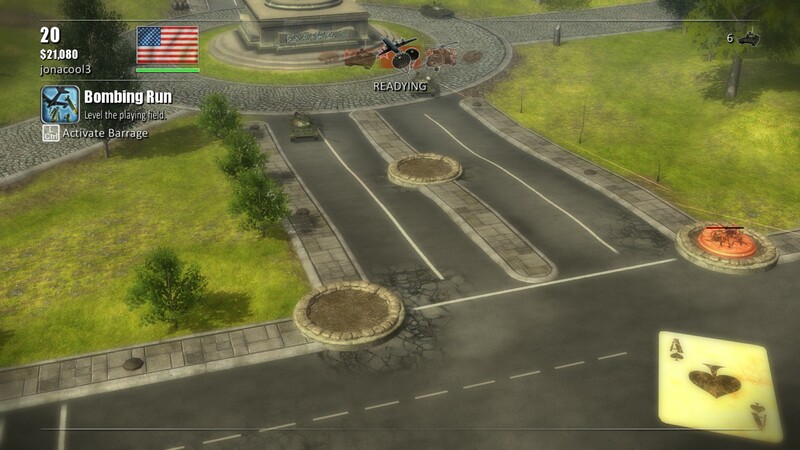 There are a different number of vehicles to play with. 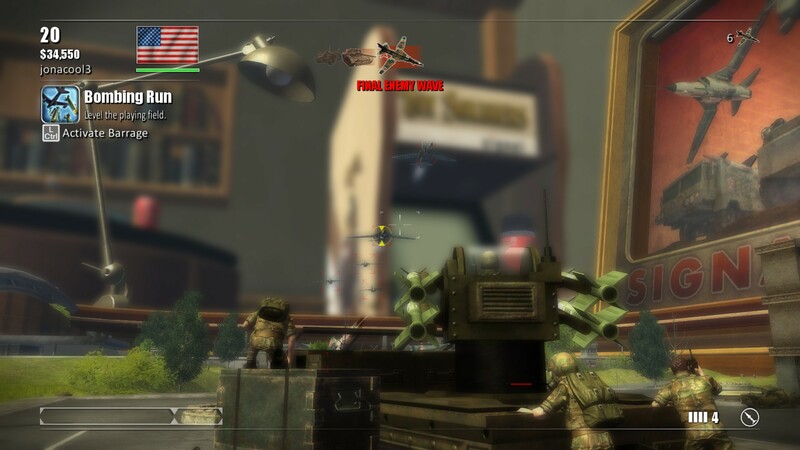 You’ll get to toy around with both the Bradley, and the infamous Abrams tank, as well as aircraft such as the Huey and Apache helicopters, or the fighter jet known colloquially as the Tomcat. Aircraft are powerful enough to wipe out a wave of enemy forces with a single shot, but come with a drawback: limited battery power. A vehicle’s battery can be recharged by picking up battery packs placed around the map or by returning to the charging pad. 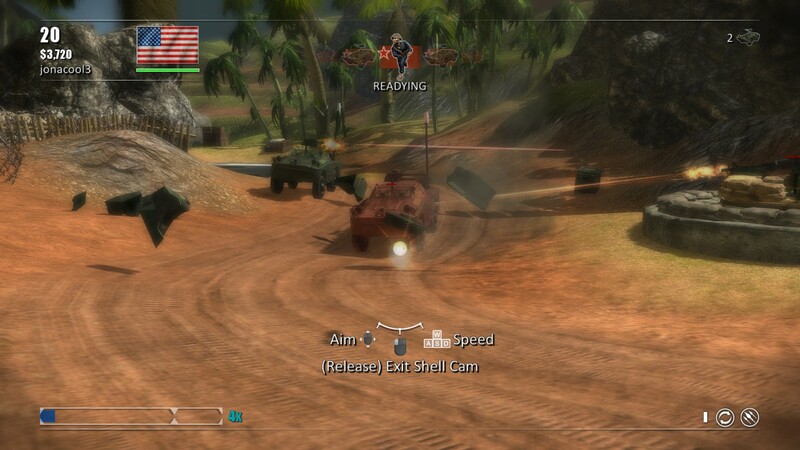 The greatest benefit of using vehicles is that while you thin the oncoming horde, your turrets can mop up the stragglers. 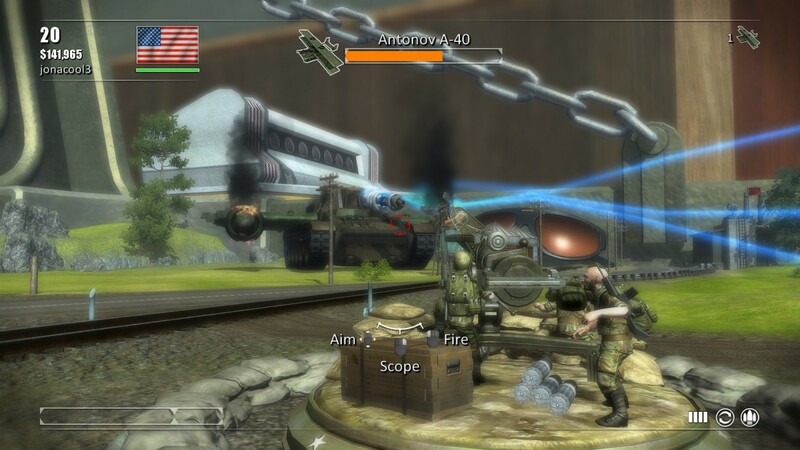 The Cold War brings new technology and new abilities. 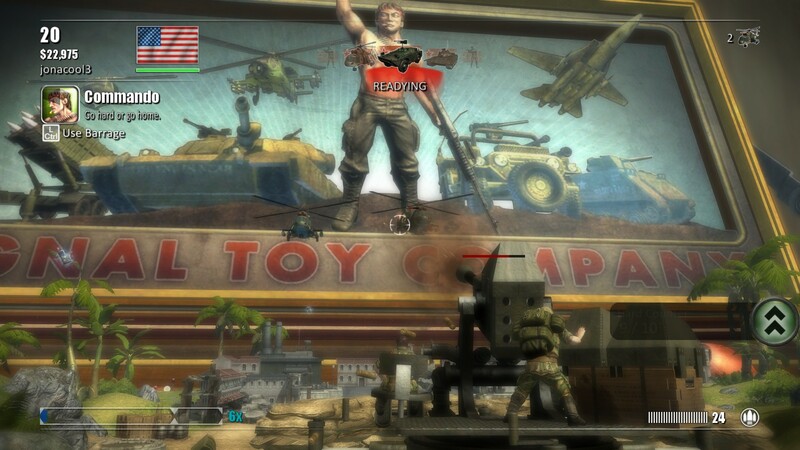 Toy Soldiers: Cold War game introduces ‘Barrages’, a feature which rewards you with special on-demand abilities when you kill enough enemies. You can call in a Rambo-like infantry who wields both a Light Machine Gun and rocket launcher at once, or something more stimulating, like an AC-130 whose gun you control directly. There’s even a nuke to make your problems go away. Alternatively, you can activate a special ability for your normal turrets by turbocharging them (also unlocked by kill-count). 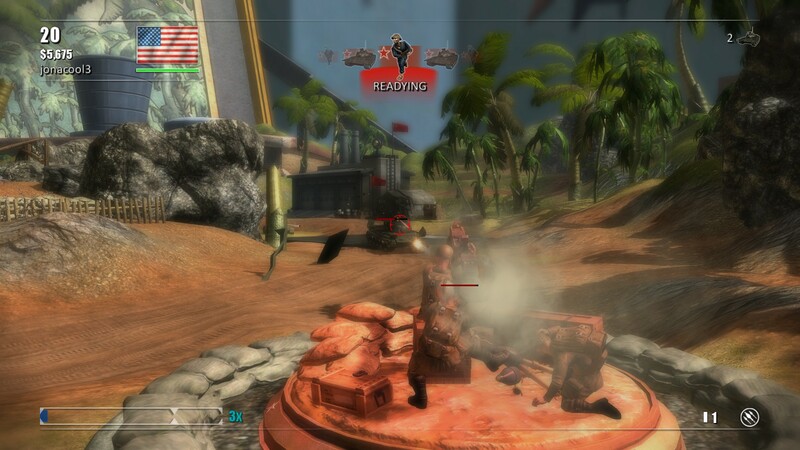 Turbocharging temporarily provides unlimited ammo for a turret and causes it to fire faster than normal. 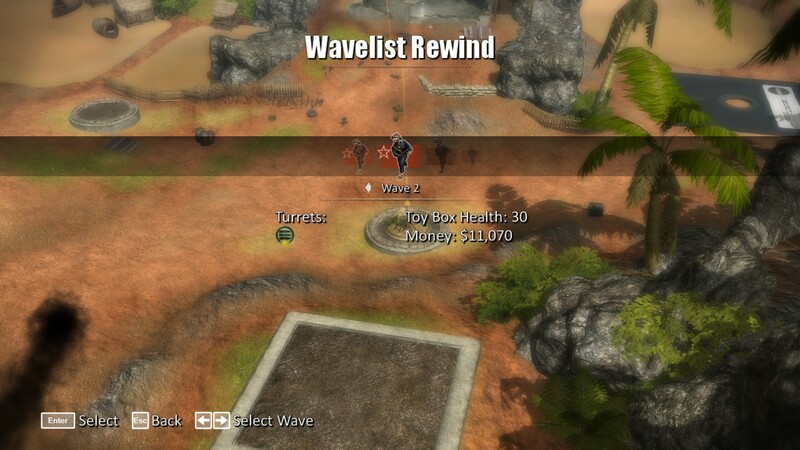 Turbocharges are perfect for quickly and more easily clearing out the larger waves the game throws your way. Of course, you don’t have to play alone. 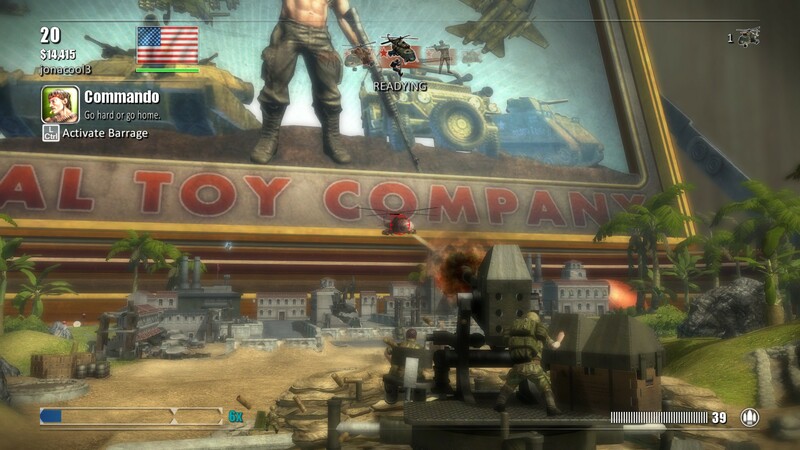 All of the campaign and survival content within Toy Soldiers: Complete can be played alongside a friend! 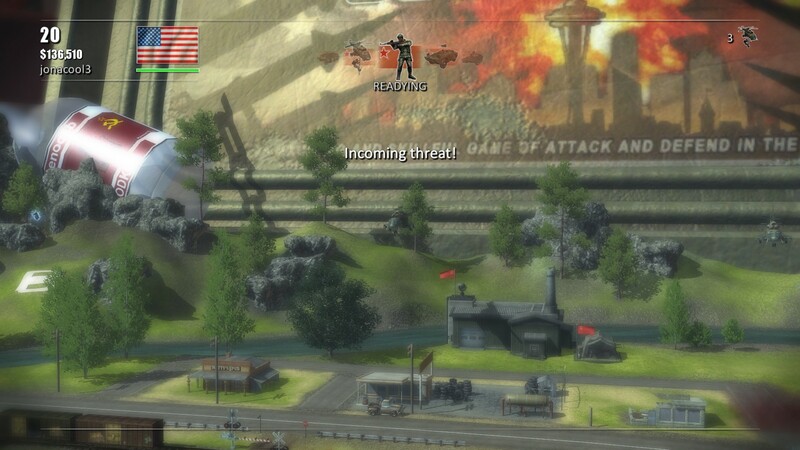 No longer will you have to defend your toybox alone, or coordinate the defences and attack at the same time. 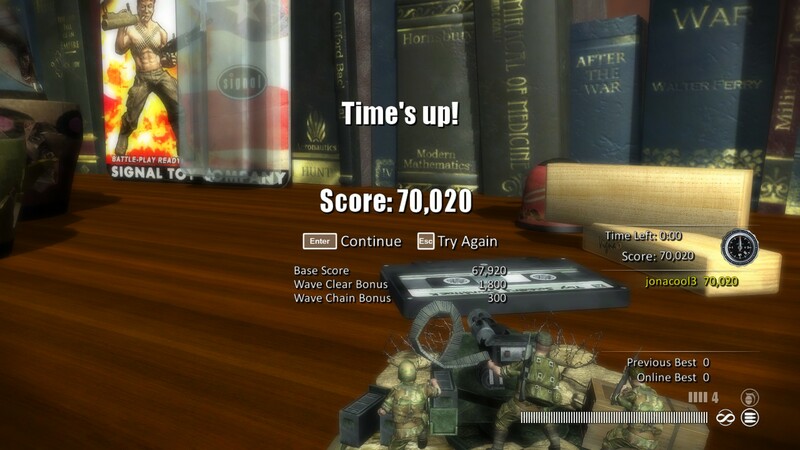 Playing with a friend definitely makes completing the game easier on Normal difficulty. If you get tired of playing solo, you can have your buddy join you in battle, or go one-on-one. 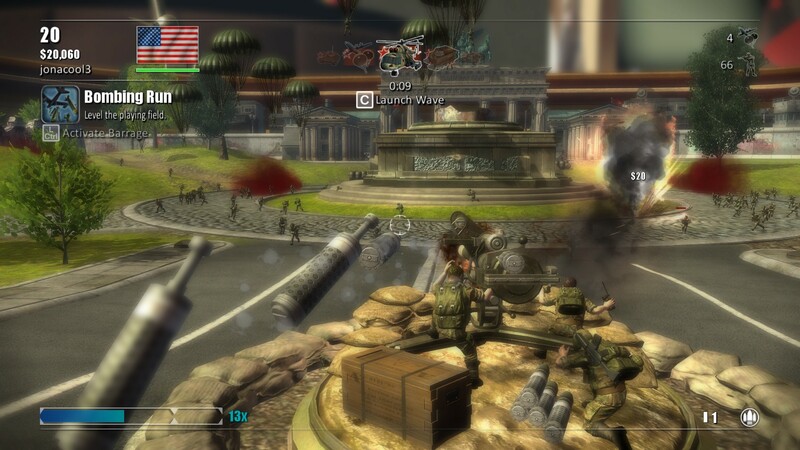 Toy Soldiers: Complete is a wonderful PC bundle with a distinctive feel to it. Once the bundle is complete, gamers are certainly in for a long awaited treat of strategy goodness. Anyone questioning themselves if it’s a worthy purchase, it hasn’t disappointed many and at the current low price for being Early Access, it’s undoubtedly worth to support the developers for future titles with more prompt releases.